I became a Fellow of the Royal Society of Arts (FRSA) in 2018. My Fellow's profile is here. Heather is a multidisciplinary social scientist whose formal training spans law, French language, forensic medicine, philosophy, gender studies, social research, sociology, criminology and health services research. She was appointed as a Lecturer within the University of Aberdeen’s Postgraduate Education Group, Institute of Applied Health Sciences on 01 October 2017. She previously worked at the Chief Scientist Office-funded Health Services Research Unit, University of Aberdeen, from February 2012 to September 2017. 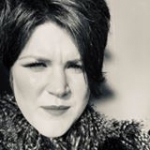 Heather has substantive research interests in digital health, methodological expertise in designing, leading and delivering qualitative and mixed methods studies and a pedagogical research focus on postgraduate training and employment, within and beyond universities. Heather is a member of several national and international research groups, co-founder of the newly formed SAGES Fora ‘Pollinating Wellbeing’, and works closely with a range of community, government and industry partners to undertake and apply her research and facilitate student work placements. To date, Heather has individually or jointly secured research funding totalling more than £1.6m. She is lead author or co-author of over twenty peer-reviewed papers and two edited collections. She reviews for a number of high impact journals/publishers and has assessed grant applications for the German government (by invitation). She is also active in public engagement with research and is a four-time Principal’s Prizes for Public Engagement with Research winner (2015, 2016, 2017 and 2018) in recognition of her science communication activities. Heather is co-creator of Aberdeen’s original, free-to-play, location-based, augmented reality game for iOS devices: [m]apping. Heather studied at the University of Aberdeen from 2001-2013 and received her first degree in Law - options in French Language and Forensic Medicine - (LLB (Hons)) in 2005, a Certificate (CertHE) in Gender Studies and Philosophy in 2006, a Masters (MRes) degree in Social Research in 2007 and her Doctorate (PhD) in 2013. She was awarded Fellowship of the Higher Education Academy (FHEA) in 2011. Heather led several multidisciplinary collaborations before transitioning into health services research in 2012. She was selected as a participant of the prestigious Scottish Crucible leadership and development programme in 2015. Heather also has external experience in the independent monitoring of prisons (Scottish Government, 2010-2013). Heather specialises in research into the use of (digital) technologies to generate, document, analyse and respond to information about human biomarkers and behaviours, by individuals and organisations. She researches how the addition or integration of such technologies into everyday living is viewed and experienced, the ways in which they impact on social life at a number of levels (e.g. personal, public, political, economic) and their implications, including unintended consequences. Heather primarily uses qualitative approaches to data collection and analysis, often involving ethnographic, narrative and case study methods, in a range of settings. She also leads and/or contributes to mixed methods studies and has: undertaken systematic reviews (mixed methods and critical interpretive syntheses); utilised and developed behaviour change taxonomies; co-designed and co-analysed two large scale surveys and a discrete choice experiment; and managed feasibility and intervention (randomised controlled trial) studies. Heather's pedagogical research explores postgraduate training, career development and employability. Heather’s current substantive work explores people's uses and experiences of various personal health self-monitoring technologies within and independently of health and social care services (e.g. smartwatches for running; GPS in elite football; apps for resistance training; nutrition tracking; medical education simulation; fertility tracking; sleep hygiene; athletes’ use of performance apps; apps/wearables for weight loss; video-delivery of exercise programmes in sheltered housing); electronic records in ambulances (ERA); post-intensive care rehabilitation: an evaluation of the scaling up of the InS:PIRE programme; RAACENO: the use of devices to inform prevention of childhood asthma attacks; and blockchain technology’s potential application for health services and research. Her pedagogical research considers the development of graduate attributes through work based placements at postgraduate level. Heather's previous work looked at: European Fans in Training (EuroFIT): working with professional football clubs to help men become more active and less sedentary; self-management of long-term health conditions (including using health self-monitoring technologies); surveillance interventions for healthy behaviours in pregnancy (particularly around smoking, including the use of home indoor air quality monitoring and financial incentives contingent on carbon monoxide exhalation monitoring); and gender/deviance in police CCTV operations. Principal’s Prize for Public Engagement with Research 2018, Winner: Senior Category. Research study: Reducing asthma attacks in children using exhaled nitric oxide as a biomarker to inform treatment strategy – a randomised trial (RAACENO). Funds to establish ‘Pollinating Wellbeing’ Forum. Principal’s Prize for Public Engagement with Research 2017, Outstanding Achievement: Early Career Category. For the [M]apping knowledge exchange and commercialisation project. Funds to support HSRU public engagement activity in late 2017. Funds to support HSRU public engagement activity at May Festival 2017. For the [M]apping knowledge exchange and commercialisation project. To work with Sport Aberdeen to co-create a version of our app for the March Stones initiative over summer 2017. Funded summer intern position. To support exploration of digital health medical education in the UK. Staff Development Budget. To attend and present at a conference. For the [m]apping knowledge exchange and commercialisation project in the School of Language, Literature, Music and Visual Culture at the University of Aberdeen to continue development of the [m]apping mobile application and link through to the Aberdeen soundsites project. ‘From GEOrge Washington Wilson to GEOtagging: Mapping and Apping the city.’ Award of funds to create a history, health, sonic, visual and tourism app, building on and combining our programme of recent public engagement with research activities: [m]apping. Principal’s Prize for Public Engagement with Research 2016, Winner: Early Career Category. Funds to host residential workshop entitled: ‘Vice and Virtue: the Rise of Self-Tracking Technologies and the Moralising of Health Behaviours’, Brocher Foundation, Hermance, Switzerland. Principal’s Prize for Public Engagement with Research 2015, Outstanding Achievement: Early Career Category. Funds to allow 'Take it right outside' equipment (pop up house, augmented reality kit and one staff member) to be brought to Aberdeen for May Festival event. Funds to support College of Arts and Social Sciences Annual Postgraduate Conference, Moving Forward. Funds to attend 'Writing Across Boundaries' residential Researcher Development Workshop. Awarded a fees-only PhD studentship. Awarded funds to visit the Center for Gender Studies, University of Chicago, to present at their staff/student seminar series, and to visit the Chicago Police Department in order to carry out research fieldwork. Awarded a sum to provide several home and overseas travel bursaries for delegates of the College of Arts and Social Sciences Annual Postgraduate Conference, Moving Forward. Heather contributes to the training, supervision and assessment of BSc, MSc and PhD students across a range of disciplines’ programmes at the University of Aberdeen and has also taught on courses for staff through the University of Aberdeen’s Centre for Academic Development. In addition, Heather contributes to the MSc in Global eHealth at the University of Edinburgh. She previously taught on University of Aberdeen undergraduate and postgraduate programmes in Gender Studies, Sociology and Health Studies in the School of Social Science (2007-2012) and social aspects of health in the School of Medicine, Medical Sciences and Nutrition (since 2009), as well as on the interdisciplinary Sixth Century Course in Sustainable International Development (2011). Through research collaborations, as well as a portfolio of public engagement with research activities, including extensive media coverage of her work on digital fitness tracking and the health implications and social aspects of high heels wear, Heather has become a STEM ambassador, public engagement lead for our Institute of Applied Health Sciences and champion for research and science co-production and communication. Heather was awarded Principal’s Prizes for Public Engagement with Research in 2015, 2016, 2017 and 2018. Heather actively uses Twitter for research-related purposes (@hm_morgan) and writes an autoethnographic blog detailing her own experiences of health self-tracking and being a ‘quantified self’: ‘Confessions of a fitness tracker’. Heather has external experience in the independent monitoring of prisons (Scottish Government, 2010-2013). In 2016, she was invited to become a Trustee of the New Nicotine Alliance charity, following her work in the field of smoking/air quality research, and to join the board of the Open Data Institute’s Aberdeen node. Heather is co-creator/developer of Aberdeen’s original, free-to-play, location-based, augmented reality game for iOS devices: [m]apping.